TGITGOGOST is an acronym for Thank God It's The Guardians Of the Galaxy Original SoundTrack, in case you were wondering. Which I knew you were. Four teams passed the Sesquicentennial Mark in February, which along with the two teams in January, already matches the six teams that reached such a mark in all of 2014! It's also the most teams to pass the Sesquicentennial Mark since six teams did so during October of 2013. 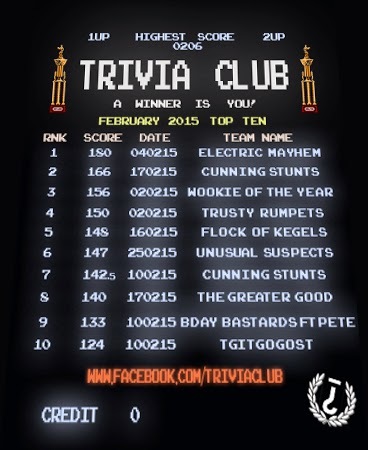 The highest score of October of 2013 was the Electric Mayhem's 181, the team's personal best, just one point more then the top score of February courtesy of the Electric Mayhem, yes 180 (the team's sixth-time past the fabled 150 point barrier, most all-time) during the February 4th edition of Trivia Club, our 99th show at Cardinal Rule! The top score at Lou Dawg's Ryerson belonged to the Cunning Stunts, with 166 points. The score also gave them the very first three-peat in Trivia Club history! The other two Golden VHS earned 7th highest score (making them the only team to appear more then once this month) and 11th highest score (110 points) of the month, respectively. Matthew Smith (of the Electric Mayhem) and PETE were also part of The Greater Good at Lou Dawg's Ryerson. The top score at Hitch belong to Wookie of the Year, with 156 points. The other Hitch high scores of the month come directly after Wookie of the Year on the Top Ten, at 4th and 5th place. Cardinal Rule teams are responsible for two scores in the Top Ten, once again, with Hitch teams responsible for three scores, while Lou Dawg's Ryerson teams take the other half of the scoreboard. After book ending last month's list, Team Name failed to crack the Top Ten but DID however surpass the Cunning Stunts with the record of Most Appearances All-Time at Cardinal Rule. The team notched their 61st appearance on February 25th. QUALITY: That LIVE Deep Thoughts on SNL 40 show! Recorded after the #SNL40 primetime special, Brian Edwards, Matthew Smith, Rob Moden and Sarah Robert talk about the highlights of the special - in person, like real people! PROBLEMATIC: I reeeally didn’t know what I was getting into with this, so aside from the shop keeping that I have already mentioned a couple weeks ago (no additional points for appearing with a former host/cast member tonight)… here are a couple of other things. QUALITY: If someone introduces a montage of clips, it will be treated in the same way that a cast member introducing a host that is also a musical guest. 2 POINTS! 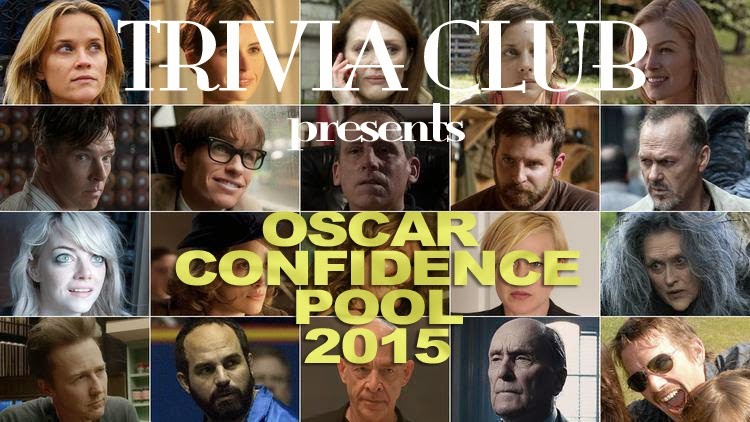 QUALITY: The cold open was an excellent, if not exactly an SNL way, to start things off. Don't get me wrong, musical numbers are SNL's jam (especially this year, making Debby's stat all the more damning), and do NOT get me wrong, Jimmy is a homegrown boy, hell even Timberlake got as much of his current cred from SNL as he did from working with Timbaland. A 'History of Rap' recap of the front 40 is a TONIGHT SHOW (nee, Late Show) gag. Lorne-produced or not. Still, you can do worse then Fallon/Timberlake. QUALITY: And you can't do much better then Steve Martin sharing the stage with Tom Hanks, and Alec Baldwin. Hell, Melissa McCarthy joining them was both surreal and welcome. Sooner or later not only will she be busting ghosts, but she'll be joining Barrymore and Bergan as a Five Timer. PROBLEMATIC: Right about when Cyrus started joining the all-star line-up in the opening monologue was when'd the wheels started coming off. Either Lorne was a Baby Boomers skewed perspective on Cyrus's cultural impact, or he really really loves her. Okay, and after watching Cyrus covering “50 Ways…”, maybe he has a point. That was a QUALITY performance. Cyrus will be joining McCarthy in the Five Timers Club, get used to that idea right now. Cyrus joining every one in the opening monologue was just Lorne calling his shot. QUALITY: That Primetime Special, tho! 8 points - "LIVE FROM NEW YORK...!" Of course it was going to be unpredictable, and with the caveats decided so as to keep points from exploding into a million different directions it may not have been a high scoring night exactly (well, save for that one team), but that didn’t keep the standings from once again flipping on their heads! First off, Three Legged Jeans CONTINUES to run away with the Featured League Standings. And yes, we’re currently tossing around some ideas for the Featured winner's trophy. The SNL40 spectacular certainly reminded us of a few excellent possibilities, and made our minds up about others. Also in the Featured League, however, Fallon In Love jumped into the top half of the standings! Then there’s the matter of The Ignorant Sluts retaking the lead in the Chase for the Phil Hartman Trophy, with a big boost from Bill Hader during the special! Last year’s winner will not go quietly in relinquishing the three-level trophy from his mantle! The Isolated Archipelago took that runner-up spot for the first time this season. Also making a big move into fifth were the Billion Dollar Murrays, thanks to FIVE host appearances (plus one impression) and points from every cast member, as the Repertory League field continues to tighten! Yes, we’re still alive after breaking down the points on that monster of a special, truly the most entertaining Oscar-sized celebration that you’ll see this year! We’ll see you again in TWO WEEKS time on the last day of February for the Dakota Johnson hosted episode of Saturday Night Live! Shout out to the Skanky Little Prostitutes for having the foresight to pick the Fifty Shades of Grey star in our Perspective Draft! I take back what I said about Blake Shelton's relevancy, but only because I want to anger TWO fan bases. Russel Harder hosts Trivia Club at Cardinal Rule (5 Roncesvalles Ave) every WEDNESDAY, at Hitch (1216 Queen St East) every other MONDAY, and at Lou Dawg's Ryerson (76 Gerrard St E) every TUESDAY! The 157 points at Hitch is Team Name's highest ever score. It's also their second time hitting the Sesquicentennial Mark. 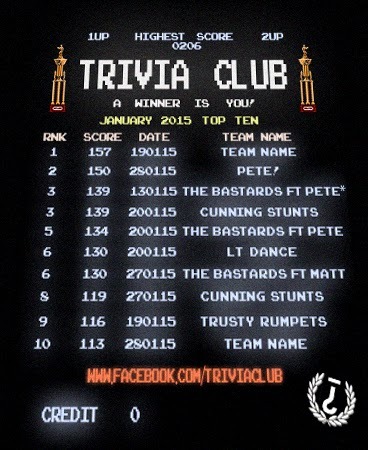 There were no Cardinal Rule scores on this list up until the last Trivia Club of the month, when PETE notched 150 points and Team Name scored 113 points! SHARK (from Hitch on January 19th) are the closest team off of the board, missing out on the Scoreboard by a single point. Two scores in the Top Ten happened at Hitch, and two at Cardinal Rule, with the other six happening at Lou Dawg's Ryerson. The Cunning Stunts return! With the 139, that ties with The Bastards feat. PETE, as third highest of the month, The Cunning Stunts became the first team to win at all three Trivia Club locations, doing so on January 20th. It's a feat that PETE! would later join them in, on January 28th. The 20th of January was wildly high-scoring, with the third, fourth, and fifth highest scores of the month taking place on that one night. The Bastards make the most appearances, as a team, with three spots (and two different featured participants)! PETE also makes three appearances this month, twice with The Bastards and once solo. The Mean Team are The Bastards ft. PETE, being the closest to this month's average Top Ten score of 133. Lt. Dance and the Trusty Rumpets, the only teams not to appear more then once on this Monthly Scoreboard (if you count the featuring of PETE), were third and second on their nights respectively. Though they do own the 12th and 13th highest scores of the month as well, respectively. Russel Harder hosts Trivia Club at Cardinal Rule (5 Roncesvalles Ave) every WEDNESDAY, at Hitch (1216 Queen St East) every other MONDAY of the month, and Lou Dawg's (76 Gerrard St E) every TUESDAY!